TRENTON. NJ October 30, 2015 . . . 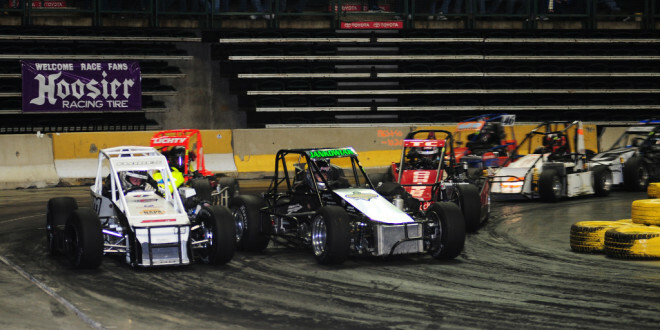 Event tickets for the third running of the Battle Of Trenton Indoor auto races are now on sale. The event, one of three Len Sammons Motorsports Productions (LSMP) indoor racing events this winter, will feature two days of racing, on Fri., Feb. 26 and Sat., Feb. 27 with Three Quarter (TQ) Midgets the main attraction on both nights. When the green flag drops, the powerful open-wheel TQ Midgets with drivers from throughout the Northeast and Canada competing. Andy Jankowiak of Buffalo, N.Y., is the defending TQ Midget champion of the race. Erick Rudolph won the inaugural running in 2013. The Friday, Feb. 26 racing program features TQ Midgets and Senior Champ Karts. TQs will compete in Triple 20 qualifying races and three Last Chance qualifiers. Race winners and top point earners will lock themselves into Saturday’s A-Main, the big race of the weekend. Champ Karts will run a full slate of heats and a feature Friday; the action starts with TQ Midget time trials at 7:30pm with racing following at 8pm. 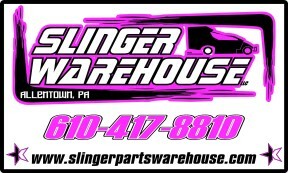 Saturday, Feb. 27 is main event day featuring TQ Midgets and Slingshots. The TQs go to post with a full program of six qualifying heats, three B-Mains and the climactic race of the weekend, a 40-lap A-Main. Slingshots will run a series of qualifying races to set the stage for a 20-lap feature. Saturday ticket prices are $30 for front row reserved seats, $25 for lower level reserved and $20 for upper level general admission. Children’s general admission (2-11 years) tickets are $5. Access to the pre-race trackside Saturday Fanfest is included with admission for Front Row or Lower Level Reserved Seats for Saturday ticket holders. On Friday, front row reserved seats are $20, lower level reserved are $18 and upper level general admission $15. Kid’s general admission tickets are $5. Competitor entries are at, or near capacity with over 100 competitors already announcing their intentions to compete. Anyone interested in competing should contact the Len Sammons Productions office immediately. Tickets are available online at www.comcastix.com or by phone at 1-800-298-4200. 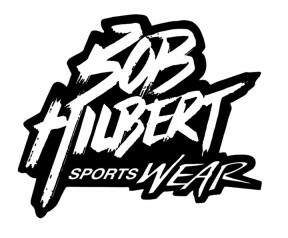 Tickets may also be purchased at the Sun National Bank Center Box Office on Monday through Friday from 10am until 5:30pm and on Saturday from 12 noon through 4pm. All ticket prices do not include a $2 facility charge; facility charge increases to $5 for tickets purchased on the day of the event. Tickets are also on sale for the Jan. 2, 2016 PPL Center inaugural program in Allentown, Pa., and for the fourteenth annual Boardwalk Hall races in Atlantic City, N.J. on January 29-30, 2015.